We’re so excited to kick-off this 3-part training class on how to make $5K - $20K a month with Lease Options. In fact, almost 60% of buyers can’t qualify for bank loans. Banks can’t help, Real Estate Agents can’t help and they’re forced to rent. These are good people with a commitment to buy and have no one to turn to. This is where you come in, like many of our students have, already! Many of our students make a whole lot more from their Lease-Option business than they do from their “regular” business, stocks, 401K’s or IRA’s. You can get started part-time and make at least an extra $5K a month income (yes, part-time)! Can you imagine anything better than this? You make a great income while helping people and doing what you love. How to Get Started in Real Estate with Little to No Money: Get Started with Lease Options Part-Time and Make $5K-$20K a Month. Then turn it into a full-time business. Smart! Why You Should Control Real Estate, NOT Own It: Did you know that you can get paid 3 ways on every deal... Upfront, Monthly Cash Flow and the Backend Sales Price. Learn How to Research Vital Information about any Property: Learn how to pull all the information you need to make smarter decisions and save time. Knowing the Correct Questions to Ask Sellers is Key: Did you know that most new investors struggle with what to say, when to say and how to say it? I'm going to teach you how to qualify every seller and find out their motivation quickly. 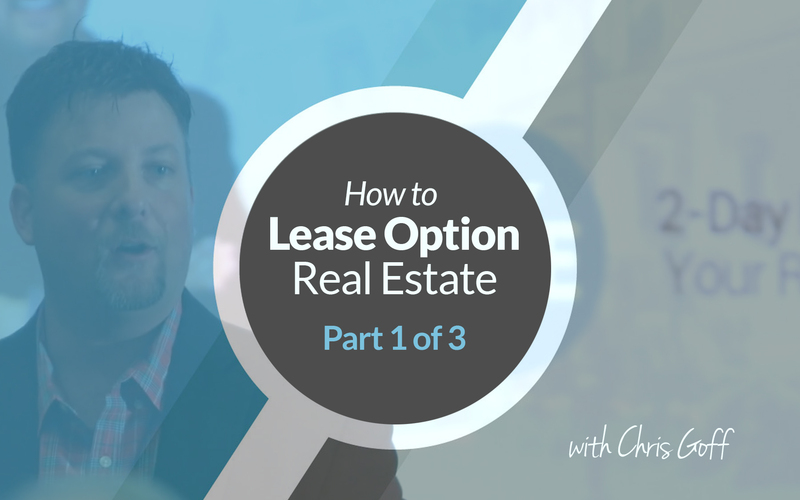 Making Lease Option Offers and How to Get the Seller to Say Yes: Create multiple lease options offers, how to explain the offers and how to get the seller to say yes. Get Started Right: There are some costly mistakes and common pitfalls you need to avoid making (you must know these) when getting started. Otherwise, everyone would be doing it... Right!? !